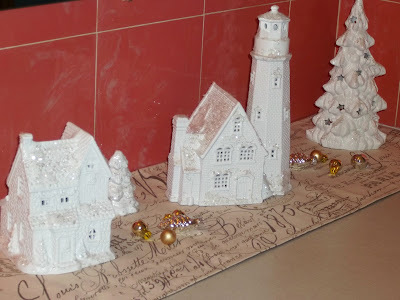 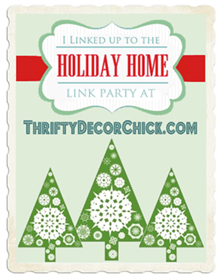 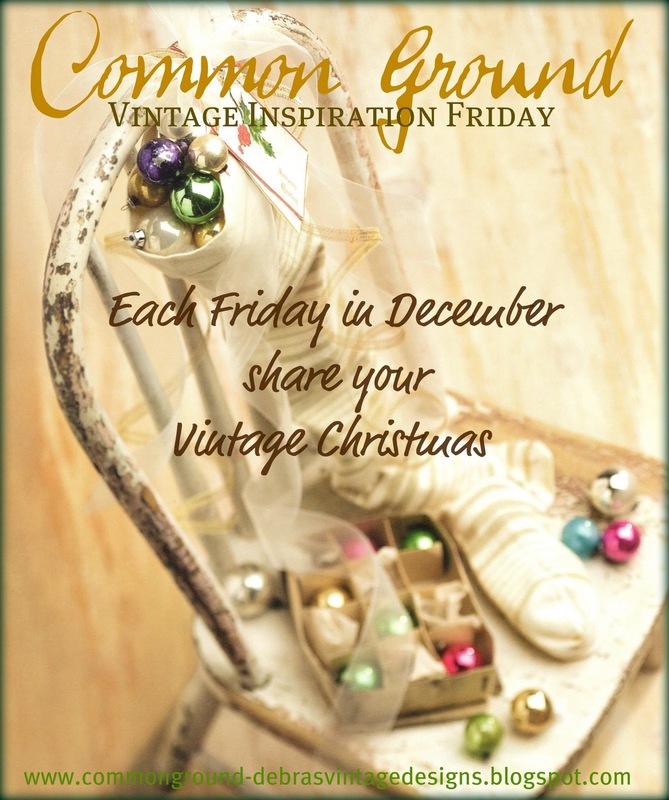 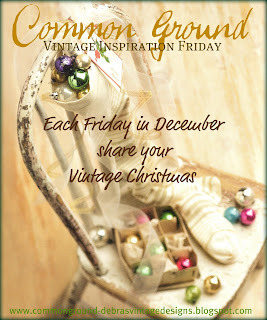 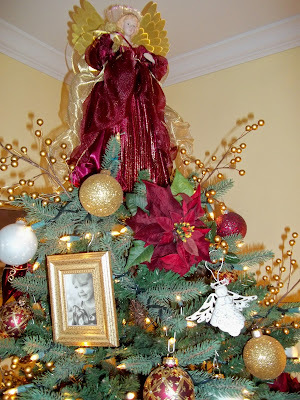 I have linked together some of my favorite vignettes from this Christmas Season. 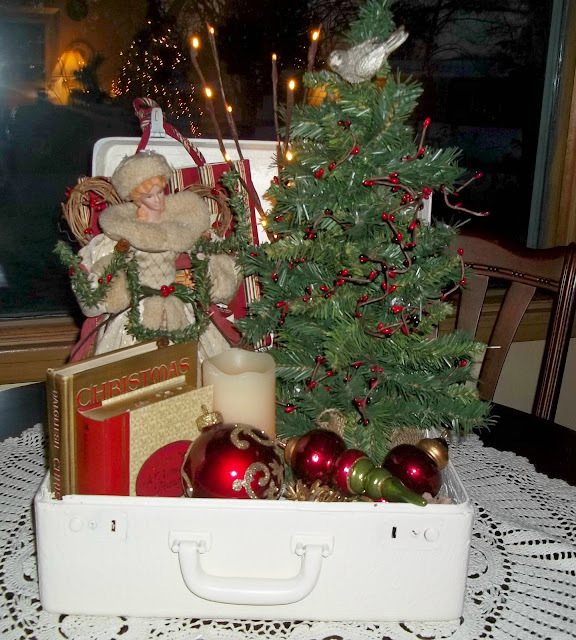 First is my vintage suitcase find this fall, repainted in an ivory white and filled with an angel, tree, lighted branches, timer flameless pillar candle, books, a Christmas fabric tote, pinecones, oversized ornaments, and a pewter bird. Next photos of my living room tree with balls in glitter and glass in mauve, burgundy, gold and white, with white angels, gold beaded picks and dollar store gold frames with photos of my kids, my dogs, my husband and I and my Mom. Also a fiber optic burgundy and gold angel. My mismatched consignment store white spray painted snow village buildings. 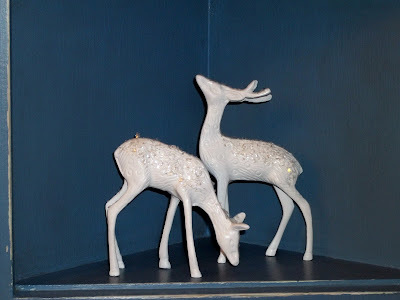 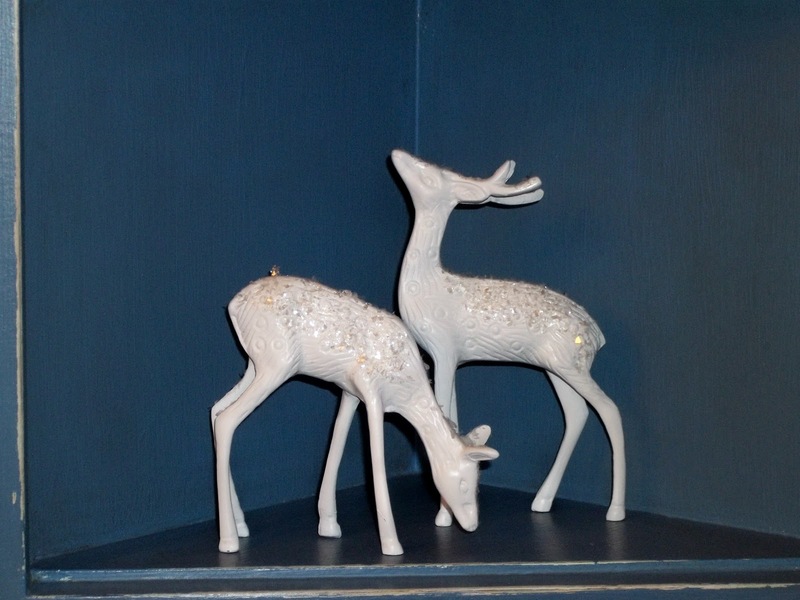 Consignment store brass deer transformed with spray paint and artificial snow. 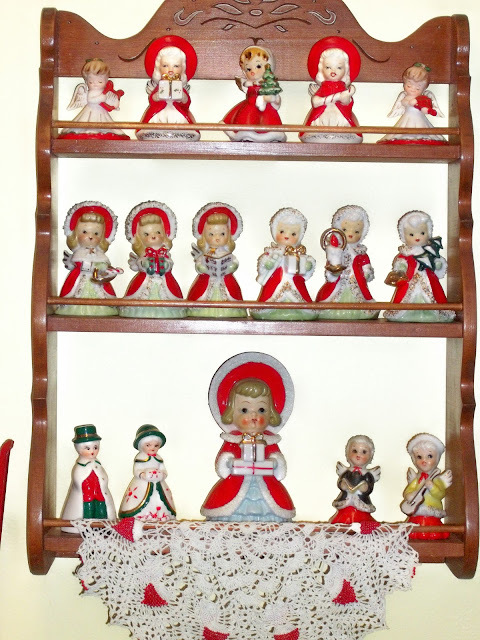 $5 each. Also my collection of Vintage Lefton Angels on a spice rack in my laundry room. My bird inspired corner shelf. 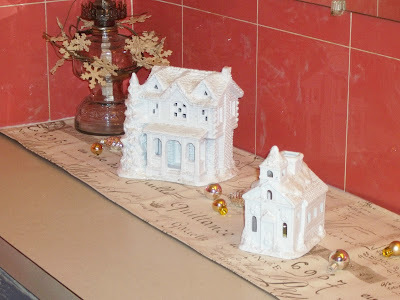 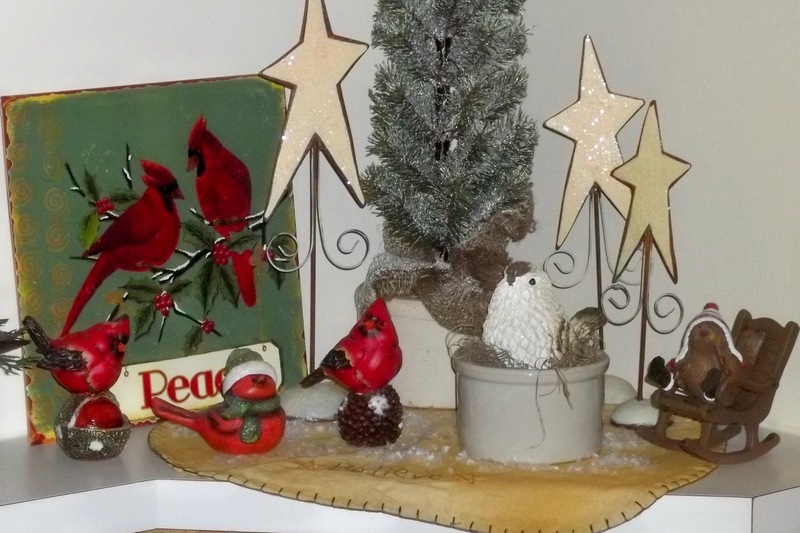 Love your Lefton angels, kitchen shadow box and the sweet bird vignette! 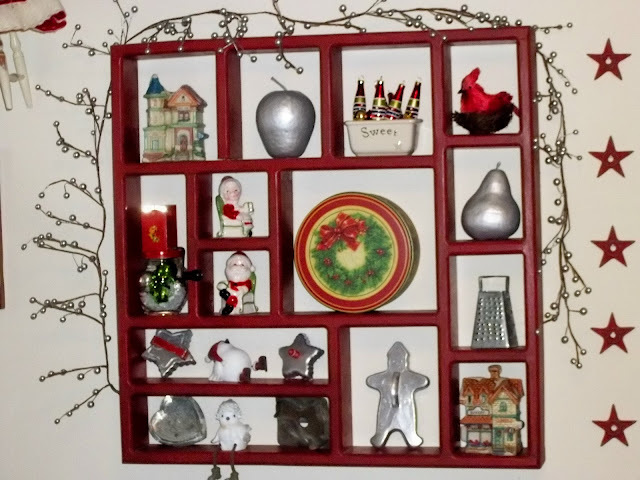 Your home decors look amazing. 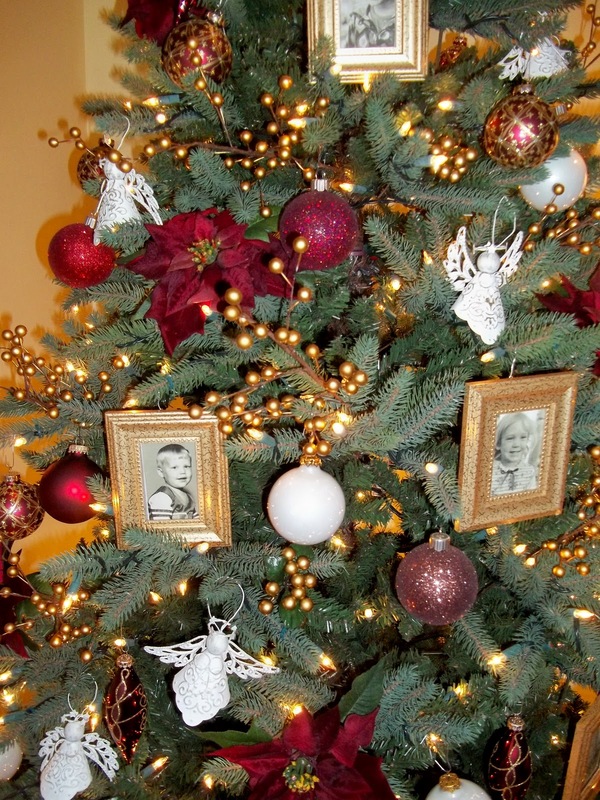 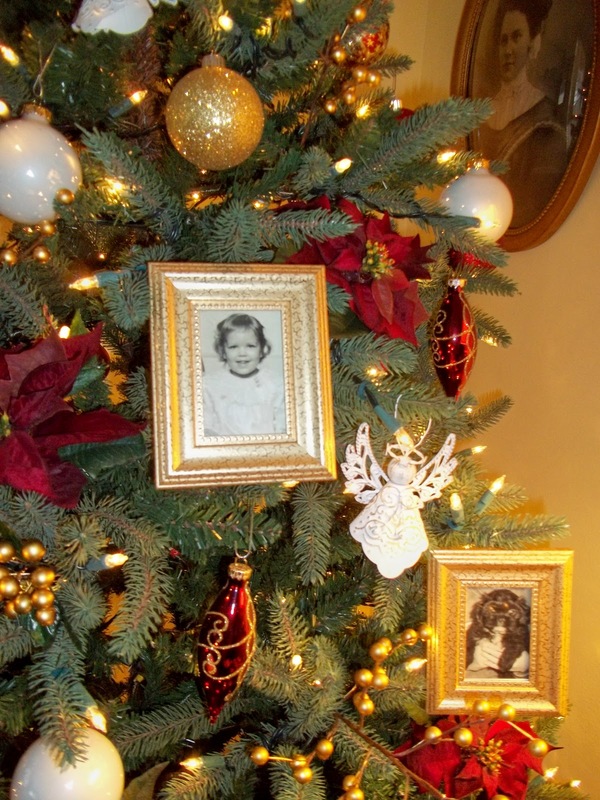 i love the ideas of having picture ornaments on a christmas tree.